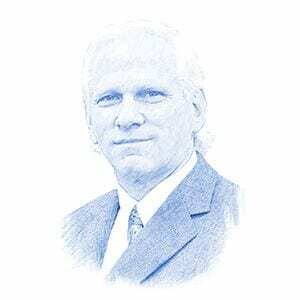 Roger Aronoff, Author at Breaking Israel News | Latest News. Biblical Perspective. The media’s continued focus on undermining Trump comes at the expense of impartial journalism and reporters’ personal integrity. Once again, the media publish fake news in support of the Democratic Party and its agenda. And above all, most of these journalists realize, and sometimes admit, that they want to help the Democrats win the next election. Many people think that Trump will be gone soon, somehow, whether through impeachment or resignation. This is blatantly false. Mrs. Clinton could have been pursued under charges of gross negligence. What we do know is that German intelligence found that Iran sought illegal nuclear technology in 2015. Similarly, Iran continues its ballistic missile tests. The media have had, and will continue to have, a vested interest in preserving Obama’s foreign policy legacy. Under Obama, the press consistently used administration statistics and reports in its friendly, fawning reporting designed to further the Obama legacy. With the Republicans controlling every committee in Congress, as well as the executive branch, they should be able to shape the scope of the investigations. Wednesday, March 1 marks the fifth anniversary of the death of conservative icon Andrew Breitbart. While President Barack Obama was in office, the media’s official “fact-checkers” rarely checked Obama administration policies and narratives for truthfulness or accuracy. This was a result of the administration’s war on journalists, during which they prosecuted more leakers than all previous administrations combined. Now President Obama is using a news organ of the U.S. government, RadioFreeEurope/RadioLiberty, to sell the narrative that this is a signed deal. As we look back on 2016, we would like to highlight some of the American media’s worst abuses that occurred during the past year, including coverage of the very divisive election campaign.